I think this sums it up. 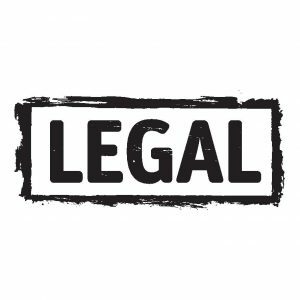 Anyone working on an event eventually has to address the event legal matters. It’s not fun, doesn’t produce any revenue and can be a tremendous time drain as you constantly address the various risks related to an event. This site does not represent itself as providing actual legal advice. For legal advice you need to contact a lawyer either in your area or through your organization. (I do suggest finding an attorney with event experience.) What advice I can provide are identifying the legal matters you will face and why they are important to protect you and your organization. This includes elements like local permits, participant release forms, liability issues, raffles, insurance matters, medical services for events and, last but not least, what to do when a claim is filed against the event/organization. My goal is to providing information to help minimize your risk so if something does happen you were prepared and eliminated the risk of negligence. When hosting any type of event that has a physical element, whether it is a walk, run, race, triathlon, mud run, color run, etc. ALWAYS make arrangements for medical professionals to be onsite. It costs money and sometimes you can get the service donated but don’t count on it. Within the organization there will always be someone saying, “don’t worry about it, the chance of needing medical is minimal (just call 911) and we can save the money.” Yes, someone will suggest this and you should ignore them. 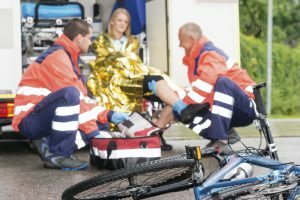 Having professional medical support is your backup to a safe event. Hope you never need it, but if someone should be injured or have a medical issue you’ll be happy you spent the money. Of course, someone is probably saying, “but I’m just hosting a gala. No one gets injured at a gala.” You are probably right, but at the very minimum have an emergency plan in place. People get sick at events, whether a gala, a concert or a book reading. If someone is sitting at a table and has trouble breathing, what do you do? Who do you call? What plan does the hotel have in place? Check with them in advance. Find out the emergency number and make sure everyone on staff knows where you are. I’ve seen where people call for help and the first question asked, “Where are you?” If you don’t know the location or the room name, you just lost valuable time. At an outdoor event it is even more important to have a plan. Make sure every staff member has the emergency number in their phone? What are the emergency numbers? And if someone does get hurt, does your staff have a plan to manage the scene? For example, I’ve managed hundreds of bike events and anyone that has managed one knows there is risk of someone falling. The first reaction is to rush to the injured person in the road. Now you have 3-4 people standing in the middle of the road with traffic whizzing by and instead of one injured person you risk a tragedy with several people being hit by a vehicle or other cyclists. Prior to helping the injured, secure the site. Why not help the person first? Unless you are a trained EMT, doctor, nurse there is very little you can do in the first minute to help the person, but by having a crowd standing over the person everyone risks becoming a casualty. Take charge and manage the site by having someone in front directing the traffic around the accident. And have someone in back doing the same with oncoming traffic. Managing a medical situation correctly can be the difference between a safe outcome or a future liability. The best management is to have a good plan involving all staff and volunteers. Plan it, outline it, distribute it, train on it and make safety a priority to have a successful, safe event.